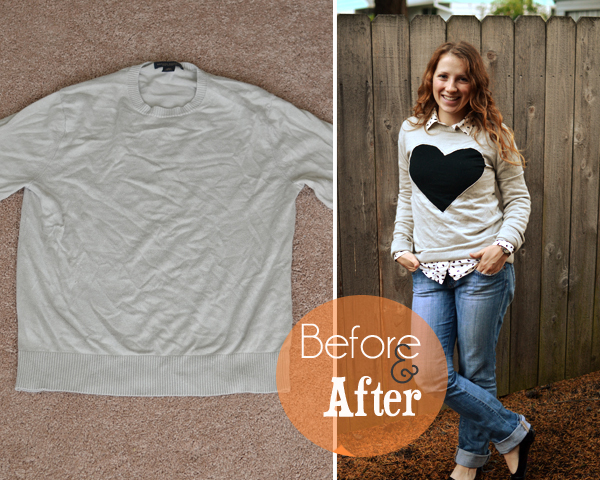 ' Heart Sweater Refashion - Sisters, What! 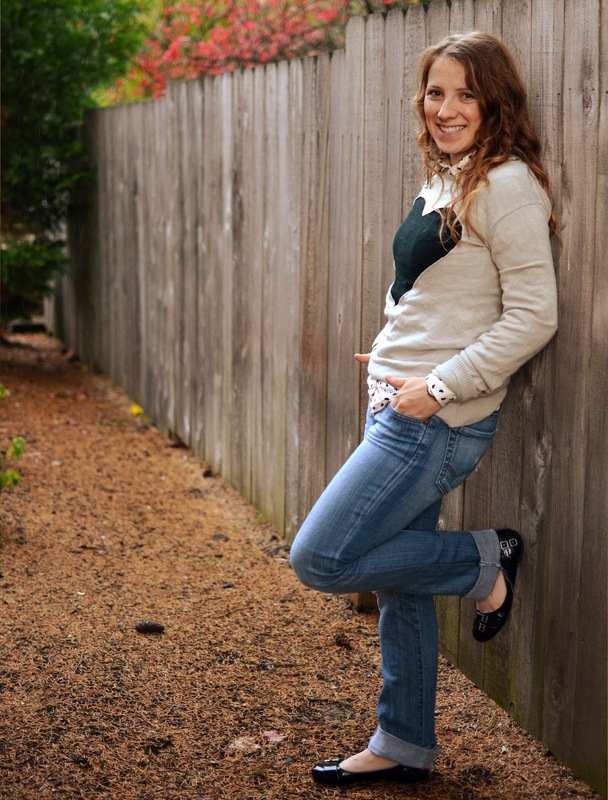 My most recent refashion is inspiration from pinterest and it's perfect for fall and winter. 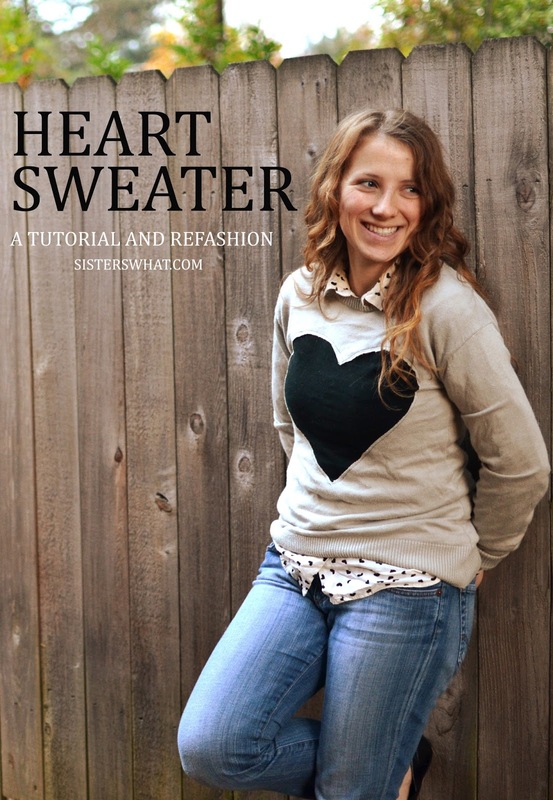 Inspired by this heart sweater HERE, I figured any plain old sweater could easily be transformed into a heart sweater. Did I already mention, it's the perfect fall layering sweater. I love it and it took me 30 minutes from start to finish. *Please note that this is by no means anatomically correct - this is kind of a duh thing since my cut out heart is astronomically bigger than it should be but I'm just covering my bases just in case a certain brother in law reads this post. //3// Following your traced lines, sew the knit to the sweater. I sewed around twice for fun : ). Then turn right side out and cut out the inside of your heart. Never thought I'd be telling anyone to cut their heart out; that's why I didn't use the word literally. 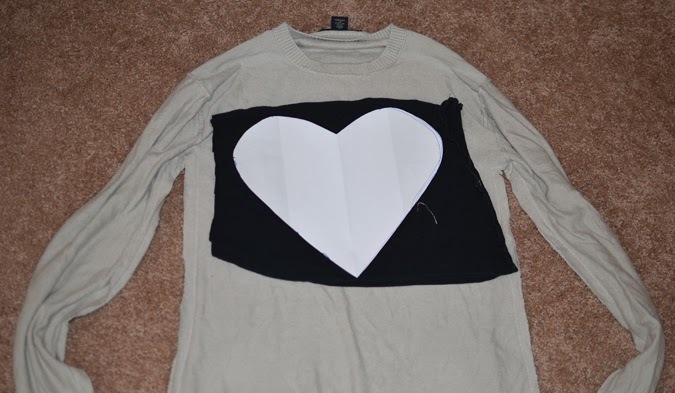 Now you have a black heart...sweater ; ). An easy redo! I have an old sweater that could use some pizazz and a red thrift-ed sweater I used the sleeves for boot toppers...I'm thinking a Valentine's day sweater is in order! Hi, would you mind if I featured this tutorial on my new sewing community blog that I am in the midst of setting up? It would consist of an image, a short description and a link to your original post. Yes, we would be honored!